My name is Jit and I'm a wedding photographer based in London. I began my love for photography in my late teens when my father bought me a camera for my birthday, and ever since I can remember it has always been a part of me wherever I go. Over the years, I have developed a contemporary and modern style of photography and clean, fresh and crisp retouching techniques. I prefer to capture the natural moments in a reportage style, and find it exhilarating to see the surprised expression on the client's face when the see their photos. I love capturing moments in time, that split second where time stands still, or a single shot that brings back countless memories. It's that style of photography where those tiny moments can come and go in an instant and yet speak volumes when captured, is what I'm interested in. I have a team of 3 people and we all specialise in different things. My wife deals with all enquiries and wedding management and co-ordinating (Don't tell her this, but she's good! ), my brother who is multi-talented at photography and videography, and myself as the main photographer and director of the company. We all work together as a team to achieve stunning results through sheer organisation, visual skills and our passion for creating a memorable day for you. 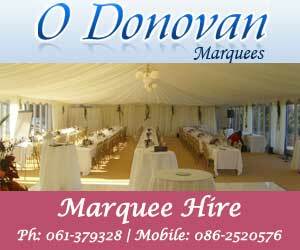 We are committed to deliver an excellent service to you by making your special event enjoyable, memorable and stress free for you, your family and friends. We value honesty, integrity a good sense of humour and a little old fashioned hard work. If you have liked what you have read and are hoping for a stress-free memorable day, why not give us a call and meet us for a coffee?